Egypt announces primary budget surplus – Royal Times of Nigeria. Egyptian Authorities have announced a primary budget surplus for the first time in 15 years .Finance Minister Mohamed Mait who disclosed this in an interview with newsmen said the state budget achieved a 0.2 percent primary budget surplus, worth 4 billion Egyptian pounds in its 2017-2018 fiscal year. The minister at the press conference shortly after his inspection tour of Egypt’s Large Taxpayers Center (LTC) said the surplus surpassed the target of 3 billion Egyptian pound. The country expected its 2017-2018 budget deficit to stand at 9.8 percent, slightly above the 9.1 percent it expected last year. 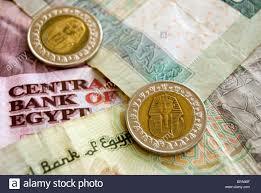 Egypt’s fiscal year runs from beginning of July to end of June of the following year.